They say the first few seconds of an impression are everything, that in those critical moments our brains take visual notes and pass judgement before we’ve even said hello to a person, tasted a dish or held an item in our hands. 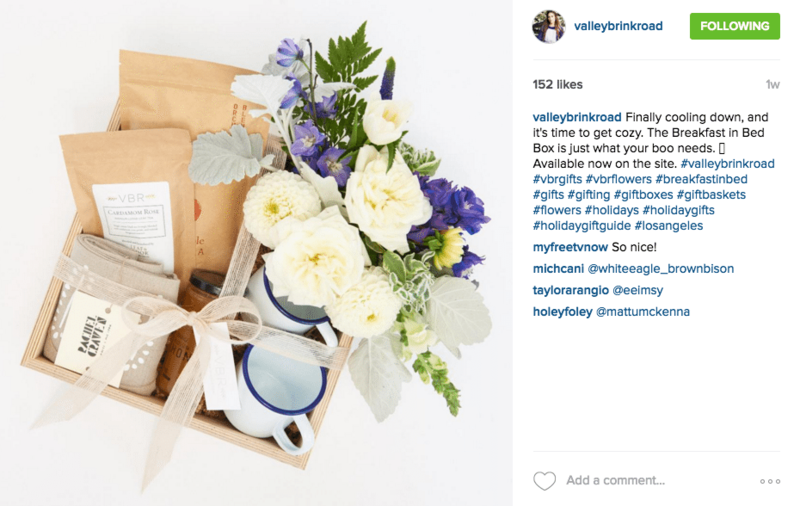 My first impression of ValleyBrink Road‘s gift boxes came one day on Instagram when I stumbled across the founder, Barrett Prendergast’s, account and instantly fell in love with her picturesque gift boxes. 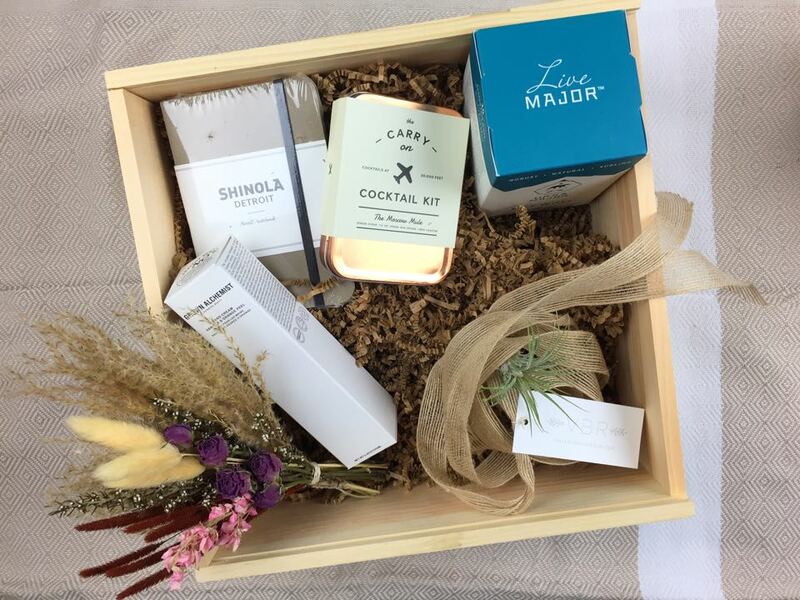 Everything about Barrett’s boxes scream unique to me–from the use of wooden crates to the rustic touches of dried or live flowers with a simple wrap of ribbon. The contents of the boxes prove even more outstanding as Barrett sources only the best products and ingredients–from savory vadouvan popcorn to chocolate covered fleur de sel toffee. 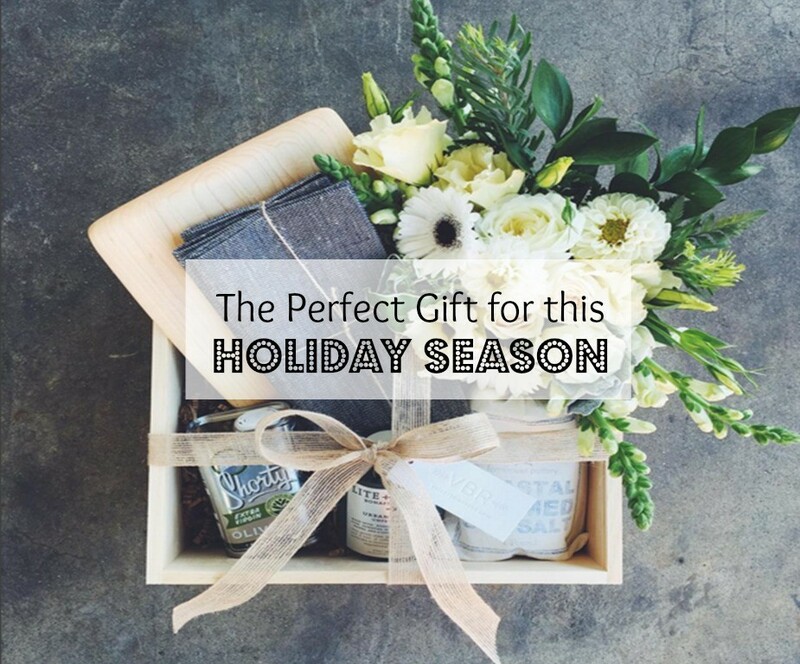 I tend to be a sucker for gift boxes because of both the ease of having someone else thoughtfully combine items into a well-tailored gift and for their presentation and knack for always looking better than anything I can wrap myself. Yet, more often than not, the gift boxes I find prove lackluster and unoriginal. When I came across ValleyBrink Road, I truly felt I had found the perfect gift box but of course, first impressions aren’t everything and so I eagerly awaited my gift box to arrive in the mail. The gift arrives well wrapped in large box filled with packing peanuts, which are cleared to reveal this beauty–the ValleyBrink Road gift box that looks exactly as it does in the photos. With the dried flowers tucked in a simply tied ribbon around a wooden crate; I was pleased to see that upon arrival the box lives up to expectations. For those looking to add fresh flowers, that option is available upon ordering the gift. Fittingly, I received the travel themed gift box and it did not disappoint. 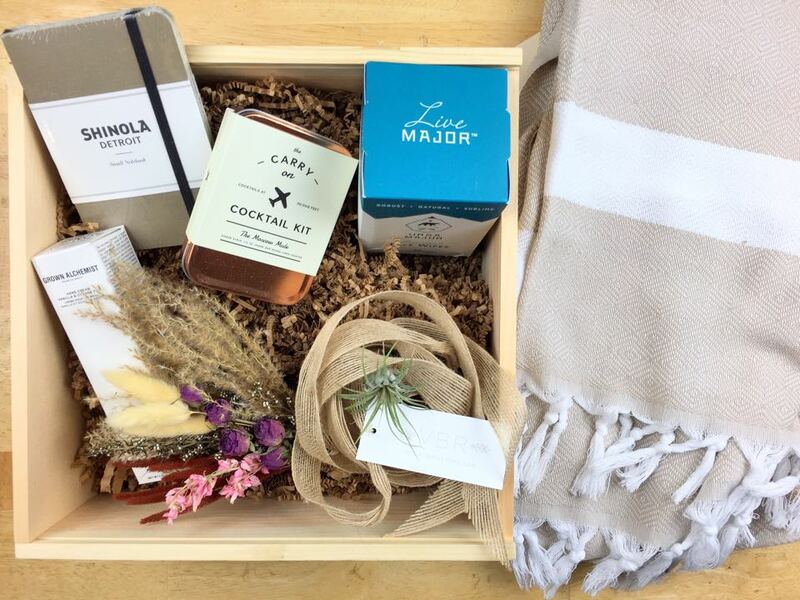 My box came with a shinola linen covered journal, grown alchemist hand cream vanilla and orange peel, w&p design carry-on moscow mule cocktail kit, ursa major 20 pack face wipes and the folding room throw blanket. The journal is now my go-to notebook for jotting down all Pin the Map related notes as it feels like an elevated Moleskin and packs up easily into any purse or bag. The cocktail kit I have not yet had an opportunity use but with a family vacation on the horizon I’m sure it will come in handy! The face wipes are by my far my favorite item in the box and while traveling to and from assignment in the Dominican Republic this past week, I enjoyed refreshing my skin (and not breaking out in the process) with these wipes. The alchemist hand cream is also a favorite of mine as my hands tend to get dry and this lotion is both a delight to smell as it is to use. The blanket is currently folded on my couch and my rambunctious kitten seems to have laid claim to this one but I love how light and soft it is. 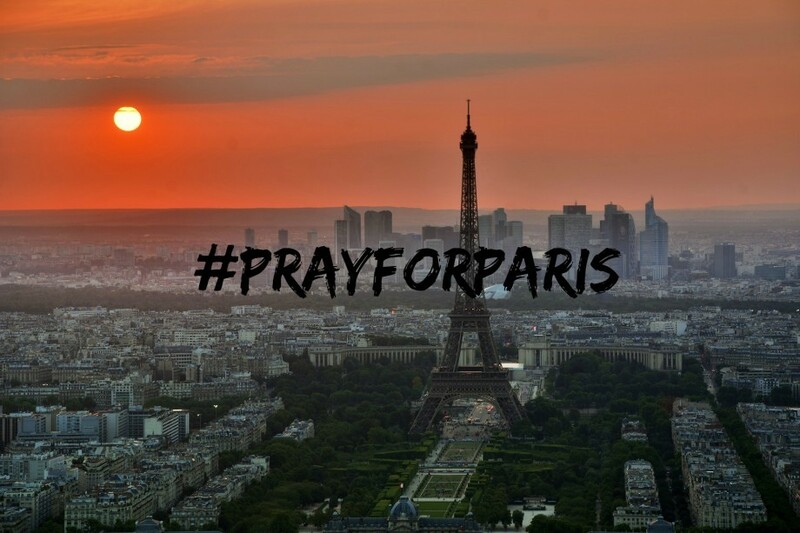 Why this is the gift of the season. I am not much of a shopper as I tend to spend every dollar I earn on traveling so when I come across a product that excites me than I know I have come across something truly worth sharing. 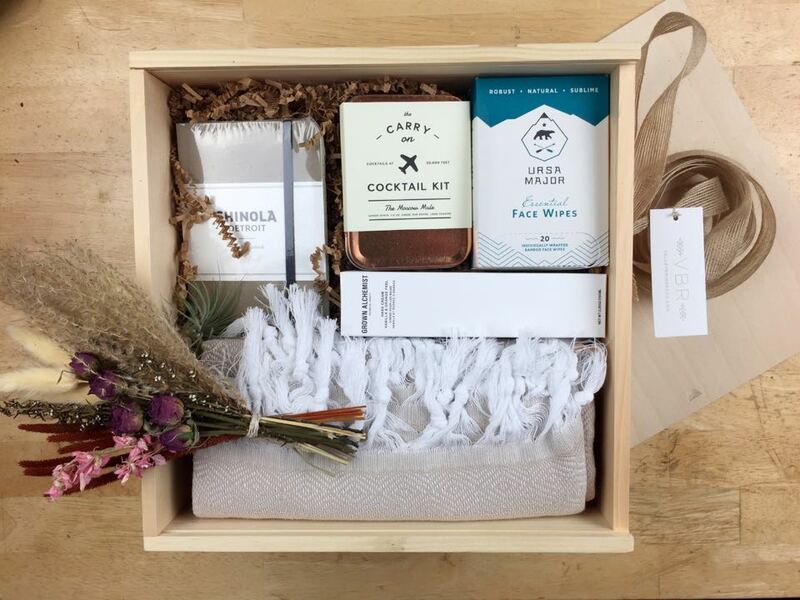 ValleyBrink Road is an amazing start-up company that puts personal touches on each of their gift boxes and ultimately creates a product that is memorable, beautifully pulled together and unique. So many holiday gifts end up going to waste but every product in the ValleyBrink Road gifts are useful, indulgent and not bound to end up in the back of the closet anytime soon! *The Pin the Map Project received a complimentary box from ValleyBrink Road in exchange for a written review. As always, all opinions are my own and remain unbiased and purely reflective of my own experiences and thoughts while reviewing this product.